The Samsung Galaxy S7 Edge is a fantastic smartphone that still holds its own today, so it’s all the more frustrating when it doesn’t perform properly. If your Edge is driving you close to the edge, our guide to the most common Samsung Galaxy S7 Edge problems and solutions should help save your sanity – and your smartphone. You may have enabled Easy Screen Turn On, which wakes the display when you wave your hand over it. You can check in Settings > Accessibility > Dexterity and interaction. 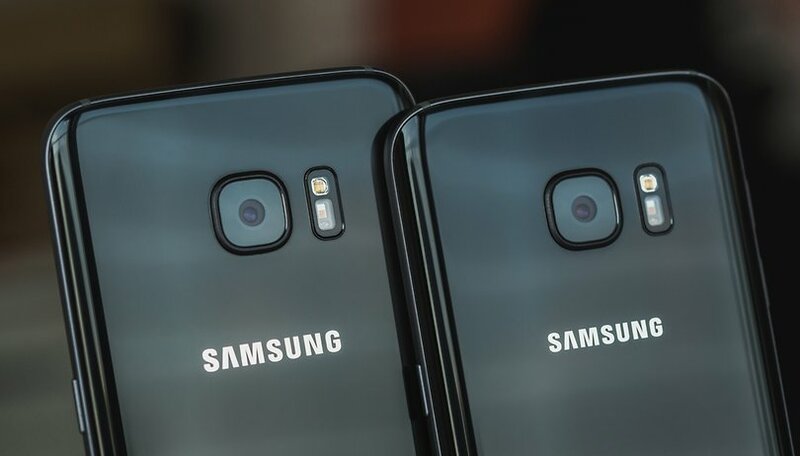 Assuming your Samsung isn’t actually on fire - the Camera Failed warning is known to pop up when phones are running really hot - a hard reset can usually banish the unwanted warning. If that doesn’t work, try clearing the camera app’s data cache: go to Settings > Applications > Application Manager, locate Camera, Force Stop it and then clear both the app cache and the app data. Take your Galaxy out of its case if it’s in one: that can make wireless charging flaky. If that doesn’t solve the issue makes sure Fast Wireless Charging is actually turned on (in Settings > Battery) when your device is on the charger—and of course make sure the charging pad you’re using actually supports fast wireless charging. Palm detection is supposed to stop the screen registering false taps, but in some cases it doesn’t appear to be working: the slightest bump or just holding the Edge in a certain way can register a tap. This appears to be a software glitch, and Samsung did issue an update to improve this back in 2016, but if you're still suffering from this problem, the best solution appears to be to put your Edge in a protective case. You could try a screen protector too, but many Edge users have found that the curved screen makes it hard for protectors to stick. Many users are reporting problems with the hardware buttons, but the problem appears to be a software one because the fix involves, er, using the hardware buttons that aren’t working. If you press and hold Power and Home you should be able to perform a hard reset that makes your buttons work properly again. These are common issues in any phone, and in case of Wi-Fi the wireless router is often the villain of the piece. Rebooting our router and our device fixes 99 percent of our home Wi-Fi problems, but if you’re having connectivity issues when you’re out and about it’s worth forgetting and rejoining Wi-Fi networks - and similarly, if your Bluetooth is broken, removing any paired devices and re-pairing can solve the issues too. Samsung’s Briefing app, which creates a kind of electronic newspaper for you, has the same effect on your phone’s performance as having a large man sat on you affects your ability to sprint. Long-press on a blank bit of the screen, swipe to Briefing and turn it off for an instant boost. Most of the time the culprit for sudden, catastrophic battery drain is an app, so it’s worth closing all apps or restarting your phone to see if that improves things. Use Settings > Data Usage > Background Data to stop apps using your data connection when you don’t want them to and try turning down the display too. To make sure you're getting accurate readings on your battery, try calibrating it. It’s on fire!...Or just too hot. Not literally, but if your Samsung is running hot then there are a few things to check. If the problem occurs when your Edge is charging, try leaving it alone instead of using it and disable Fast Cable Charging in Settings > Battery. That will increase charging times, but if it stops your Edge getting too hot that’s a sacrifice worth making. It’s worth checking for rogue apps too. In Settings > Battery > Battery Usage > More > Optimize Battery Usage you can select All Apps to ensure that apps can’t drain the battery by running in the background. If the heat is at the cable end rather than the Edge itself, you may have a faulty cable: we’ve found even really good quality chargers can get alarmingly hot once they’ve been used and abused for a while. Resist the temptation to use very cheap no-name chargers and cables from eBay, too, as they’re often the cause of catastrophic overheating and in some cases, actual fires. If all else fails, a full Factory Reset is the last resort before calling in the warranty. Have you encountered any other problems with your Galaxy S7 Edge? Let us know in the comments. I have a pink line down the right hand side of the screen. How do I get rid of the line? If I push at the top of the phone where the Samsung name is the line fades but does not go away. I sent mine back to have it fixed, 2 year warranty so get it done quick! Really? a article from 18 months ago? Samsung‘s latest flagship smartphones the Galaxy S7 & Galaxy S7 Edge have hit the smartphone markets with a storm. The highly anticipated devices were not a letdown and became popular very quickly. The smartphone duo has generated a substantial revenue for the Korean manufacturer. They can be rightfully called a success. The Galaxy S7 duo has a premium quality build and high-level features and specifications. The Galaxy S7 Edge is the smartphone that really stands out with its curved edge design. I'm afraid your have been conned into buying a fake Galaxy S7 Edge my friend.. Gorilla Glass 4 simply doesn't break from a few inches fall. Google it. No Dwayne, I've had my S7 edge since day one (in UK) and have NEVER seen that! I can make it take flash pictures remotely via an app on my Huawei watch, but that's all. Has anybody noticed the camera flash going off randomly on the S7 edge? I hope one of my installed apps isn't taking random pics or its some kind of notification, that I'm not aware. Sorry, but do you really have an S7 edge? I cannot believe that dropping it from a height of "even less than a few inches" would shatter the screen, unless it was already compromised, or dropped into a working food mixer. I think this model is fantastic and highly recommended, but, like my S5 and about a dozen phones before it, including an iPhone, I have always used a protective case. It's only common sense (you can always remove it from the case to show it off to mates, if necessary!). For my S7 edge I use an I-Blason holster case, which also has a built in stand. I accidentally dropped the phone from a height of several FEET a short time ago, (I was up a step ladder) onto concrete and feared the worst, but no damage whatsoever.